two of the most amazing Christmas Events of the Season. 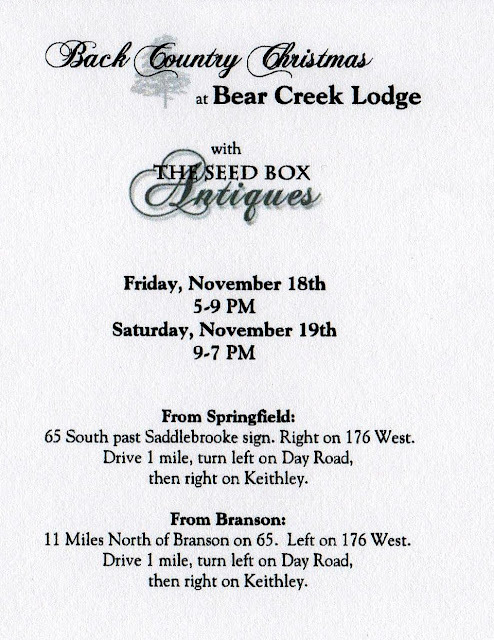 will be opening for the Season at her wonderful Carriage House. Now I am really excited about decorating for Christmas! Too bad I didn't live closer! But we do have a holiday house tour close by where I live and now I really want to get tickets. thanks for alwayes giving us far away living people, a beautiful glimpse of all the wonderful places. You have so many wonderful places to shop! I want to go! I adore all of your detail on the previous post! Wish I could. Those stores look amazing. I love Christmas open houses. 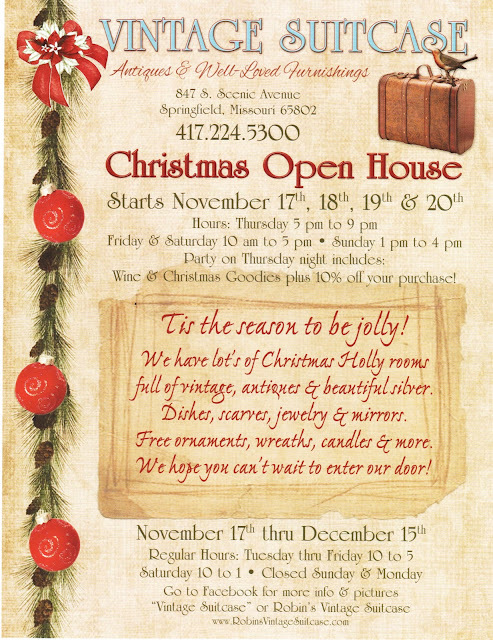 We used to love doing our Christmas open house when we had our antique shop. Lots of work in the lead up but so much fun! We were in a fairly small mountain town but had visitors from 2 hours away! I do miss that! These both look wonderful! Thanks so much for the post! Sure is a lot going on! But then that's how the holiday season always is. Wish I could...they look delightful!! Everything is so pretty Debra. I love the pinecone garland on the door. Looks like it should be alot of fun. OH I wish I could! These sales look wonderful! Thanks for sharing the pics! I so wish I could attend too, but way out of my neck of woods:( Thanks for sharing with me Debra. I sure wish I could attend on of these events! However, seeing the photo with the wreath on the outside of the screen door rather than on the inside door caused me to think - What didn't I think of that!! Now I'll have no more spills on the inside of the entry! Thanks! Soooo wish I could...looks like sooo much fun!! !